ARTSI — LOVE BLOSSOMS Sow.Nourish.Grow. Helping to expand our imagination, indulge in creativity, and flourish in our own personal growth. Art has always been my vice, my therapy, and a natural extension of expression ever since I was little. When I was gifted with thee most wonderful blessings, 2 beautiful little girls, they kept guiding me with their own creative spirit to follow my intuitive path and share my gifts. Since my first pregnancy, my daughters have inspired me to use my artistic abilities to my FULLEST potential. My focus is to spread that magical feeling with everyone! Bringing creative energy to Life! ALLOW ME TO BE OF SERVICE TO YOU, INSPIRING YOUR YOUR WALLS! Personalize and design the perfect piece of art & watch imaginations Blossom, in your very own ROOM! Check out the Newly Published Children's Book we created!!! SUPER EXCITED to announce that our cute little animals are officially strutting their stuff on Barnes and Noble website, for our newly-published children's book, "Eat Like an Animal" and "Act Like an Animal!" Fruits, vegetables, nuts, and seeds-that’s the way an animal feeds! Like animals, children thrive on fresh, nutrient-rich foods and lots of activity. 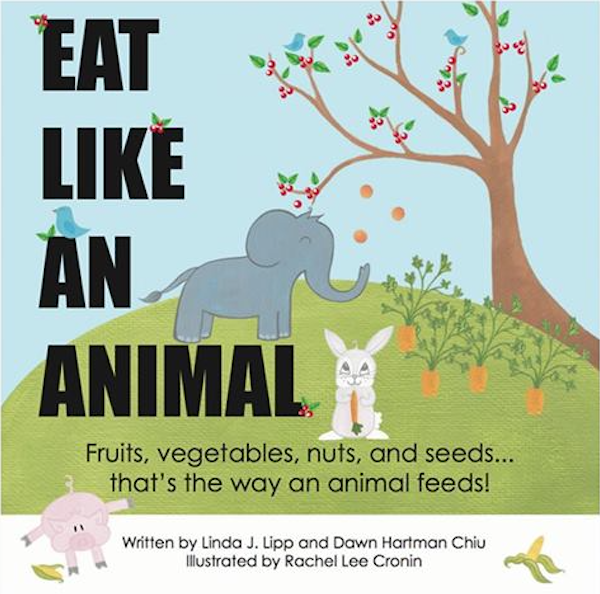 The Eat Like An Animal and Act Like An Animal rhyming picture books are colorful and engaging and perfect for encouraging healthy behaviors in children! YES- TWO BOOKS IN ONE to inspire children all around the World to go back to their roots and live a healthy lifestyle! SPREAD THE WORD AND SHARE THIS GIFT WITH THOSE YOU LOVE !